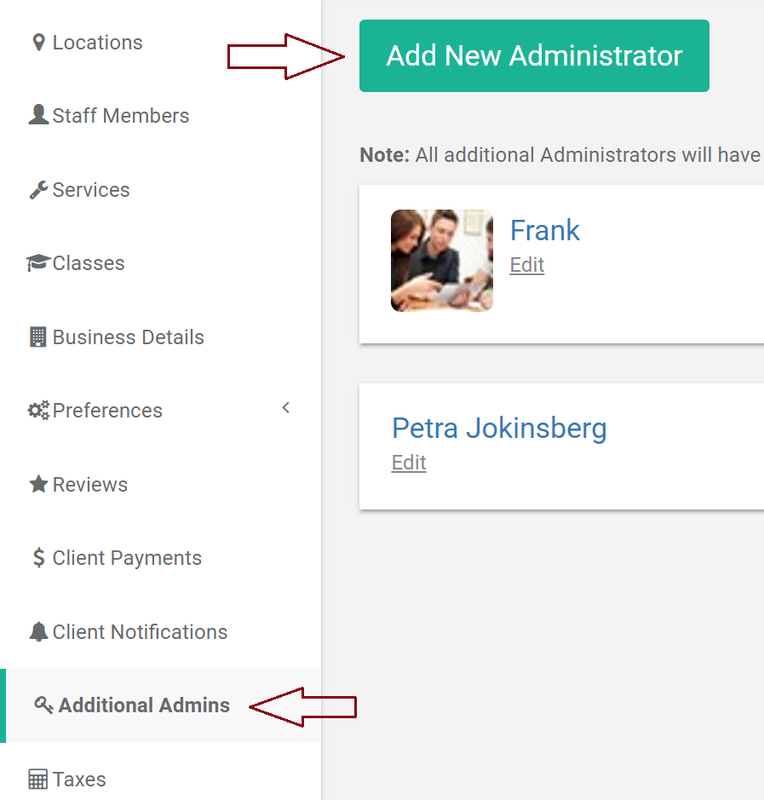 New "Additional Administrators" feature has been added and now live on BookSteam. It is perfect for businesses that require a full account management by reception, front desk, employee or any other worker. Additional Administrators are separate from Staff members since they cannot be booked. There is no limit on how many Administrators you can have and they are completely free of charge. 1. Log in to your BookSteam account. 2. Navigate to the "Settings/Additional Admins" tab or click here. 3. Click "Add New Administrator" button. 4. Enter all the required information and click "Save". BookSteam will send an email to the new Administrator with instructions on how to create a password. Note: All additional Administrators will have full account access.